Looking for inspiration? Here are just a few ideas based on some of our favourite road trips. This selection will give you a taste of the possibilites; whether your interest lies in wildlife, photography, spectacular scenery, geology, history of you are planning a family adventure, let us help you plan the perfect trip. …a musical discovery tour. Trace the roots of American music and experience the unique cultural landscapes that gave birth to the Blues, Country and Rock-n-Roll. Follow the dramatic Pacific Coast Highway – a 1500 mile trip which takes you through Washington, Oregon and California. Rain forests, endless beaches, lighthouses, estuaries teaming with diverse wildlife, giant redwood forests, interspersed by vibrant and cosmopolitan cities – this route has just about everything. Although you can do the journey in a few days we would suggest you take your time to fully enjoy the trip. Here’s one suggestion..
Take a drive down the USA’s Atlantic Coast and on the way discover beautiful beaches, a rich and interesting history, warm and genuine hospitality, charming towns and cities and an abundance of wonderful wildlife. …from the Badlands of South Dakota to Yellowstone; this drive will take you through some of the most wild and beautiful landscapes imaginable. Mount Rushmore, Crazy Horse, the Bighorn Mountains and Cody before entering the spectacular scenery of Yellowstone National Park, with its legendary geyser basins, hot springs and assorted geothermal oddities, not to mention its stunning wildlife. Explore Alaska’s stunning landscapes – rugged mountains, alpine meadows, crystal lakes, glaciers, diverse and abundant wildlife. With more scenic highways that any other US state, this is the ultimate driving destination. 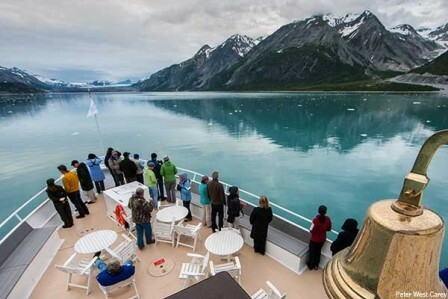 Incorporate Alaska’s Marine Highway, where whales, rare birds, sea-otters and sea lions can be viewed from the deck, to make this a truly memorable trip. A journey along route 66. It was in 1926 in Springfield, Missouri that the idea of a highway connecting Chicago with Los Angeles was born, but it is perhaps most famous as the route taken by many families suffering hardship during the Dust Bowl of the 1930’s when agricultural workers headed west in search of employment. Today, much of the original road has now been by-passed, but stretches are still driveable. Many of the businesses along the way have been renovated to reflect the era when this road was considered the Great Mother Road. Day 14: Return to London or continue elsewhere. Arrive in Chicago then pick up your hire car before heading to your downtown hotel for an overnight stay. Chicago is known as America’s favourite city. Situated on Lake Michigan it boasts sandy beaches, cycle paths, superb architecture, authentic blues music, great restaurants, shops, museums and art galleries. If time allows, an extra night here would be highly recommended. Your advernture begins with a drive through the farmlands of Illinois. First stop, the State Capitol, Springfield. Long time home and final resting place of Lincoln, the city has maintained many of the original Route 66 sites. Continue to St Louis, located on the banks of the Mississippi and home to the Gateway Arch, which reflects St Louis’ role in the Westward expansion of the United States during the 19th Century. Ride the tram to the top for magnificent views of the city and river. Today’s journey takes you through the Ozark Highlands of Southern Missouri. The original route has been replaced by the I44 freeway but many of the signs of the route can be seen near each exit. One of the most famous attractions are the Meramec Caverns, a set of limestone caves once used as a hide-out by Jesse James and widely advertised on barns and buildings all over the Midwest. Into Oklahoma which boast more self-driveable miles of the original Route 66 than any other State. Once known as Indian Territory the state is home to more Native American Tribes than any other. During the Dust Bowl of the 30s thousands of Oklahomans headed west along Route 66 to escape poverty – the Oklahoma Museum of History reflects on this period of the States History in addition to special collections relating to the Native American presence. Take time to see the moving and powerful memorial to those killed or affected by the 1995 bombing. Continue west into Texas, passing through McLean, the headquarters of Texas’s Historic Route 66 Association. Much is being done to try to preserve the town in its original condition. Visit the Devil’s Rope Museum where you will learn everything you need to know about barbed wire. Depart Amarillo and take time to visit the famous Cadillac Ranch where bizarrely 10 classic Cadillacs lie nose down in the ground. Cross the mid-point of Route 66 before heading into New Mexico – for many this is their favourite section of the trip. With stunning mountain scenery, breathtaking views, ranches, reservations and Pueblo communities along the route you will find many motels, trading posts and gas stations that have been restored and preserved. Spend a couple of nights in Albuquerque to give you plenty of time to explore this historic city and the nearby State Capital, Santa Fe – the original Route 66 passed through here. Cross into Arizona, taking time to visit the Petrified Forest and Painted Desert National Parks before staying overnight in the town of Holbrook. Visit the Navajo County Museum, located in the Historic Navajo County Courthouse. If you have an extra day or two then we would highly recommend taking a detour from the route here to visit the Canyon de Chelly National Monument and Monument Valley. Short drive today, past Winslow and the massive Meteor Crater to the lively and vibrant town of Flagstaff. If time allows, a detour or a night or two in nearby Sedona is highly recommended. Not strictly on Route 66 but a detour to the South Rim of the Grand Canyon is well worth it. Make sure you see the Canyon when the light is at its best at sunrise or sunset. Or for a truly spectacular view take an early morning flight by helicopter or fixed wing aircraft over the Canyon. This stretch of the route through Arizona has some of the best surviving stretches of the original route – many of the old cafes and motels are still flourishing. Overnight stop in Kingman. And finally into California (first passing London Bridge at Lake Havasu), crossing the State Border at Needles. Cross the Mohave Desert to Santa Monica; this marks the end of Route 66 where the road meets the Pacific Ocean. End your trip here with a couple of nights relaxation by the beach. If you can only afford the time to do a section of Route 66, do the section between Amarillo and the Grand Canyon. It is here that you will see the Cadillac Ranch and cross the midway point. You’ll see renovated gas stations, diners and trading posts, to say nothing of the scenery! Despite the cost of getting there, USA still represents excellent value for money. For families, a group of friends, golfing or outdoor enthusiasts, beach lovers, skiers, we are delighted to be able to offer a wide selection of villas with private pools, condominiums, apartments and luxury holiday homes in several stateside locations. As well as the traditional holiday destinations of Florida and California, we can offer New York, South Carolina, New England, Colorado and Arizona. Whatever the size of your group or budget, we will be able to find something to suit you. Perhaps combine a week on the road with a week’s relaxation in a beautiful location. Oregon is indeed untouched – and well off the beaten tourist path. This itinerary takes the visitor through the best that Oregon has to offer from stunning scenery, to deserted beaches – there is something for everyone here. Travelling to Oregon is set to become even easier with the introduction of a new direct flight from Heathrow to Portland starting summer 2017. Oregon is indeed untouched – and well off the beaten tourist path. This itinerary takes the visitor through the best that Oregon has to offer from stunning scenery, to deserted beaches – there is something for everyone here. With its outstanding natural beauty and many sites of historical and cultural significance, Oregon has more designated scenic byways and tour routes that any other state. Much of Oregon’s appeal lays in the fact that few people find it and it is still relatively undiscovered. This tour takes you on a breath taking journey through the state; Columbia River Gorge, Crater Lake National Park, the dramatic Pacific coastline… Along with spectacular scenery you will enjoy rich history, charming towns and extraordinary recreational and cultural experience. Drive south through the Warm Springs Indian Reservation where you will explore the culture and history of Warm Springs, Wasco and Paiute tribes. Descendants of those who welcomed the explorers Lewis and Clark still live here today. The Cascades Lakes Highway out of Bend is a 66-mile journey that incorporates some of Oregon’s finest scenery. Along the route there are dozens of lakes and frequent views of the jagged Three Sisters Peak and Mount Bachelor. Continue north hugging the Pacific coastline to the picturesque little fishing village of Newport. Continue North into Washington State where you will stay for 2 nights on the coast. Drive the scenic route to Quinault on the edge of The Olympic National Park and the Quinault Indian Reservation. Here you spend time visiting this vast park. Drive to Port Angeles this will give you easy access into the Park and to Hurricane Ridge. Two nights at Port Angeles. Continue the scenic route around the Park to Bainbridge Island. From here you can take the ferry over to Seattle, a delightful city. Take a city tour, visit the famous Pike Place Market, take a day tour of Mount Rainier.. Your return journey will be an overnight flight – arriving the following day. “Being uncertain what to do for a holiday, I contacted Experience Holidays who recommended a fly-drive trip to Oregon. I was certainly not disappointed!…….. Spend time in this fabulous city. Day 1: Transfer to your chosen hotel where you will be based for your 3 night stay. Day 2: This morning take a deluxe orientation tour of the city. Day 3: Full day to explore more of this city. On arrival in San Francisco, transfer to your chosen hotel where you will be based for your 3 night stay. Tonight you are free to dine at leisure in one of the many restaurants on offer. This morning take a deluxe orientation tour of the city. Your tour takes in all the familiar sights of the city including Fisherman’s Wharf, Lombard Street, the GoldenGate Bridge, Nob Hill and Chinatown – this will help you plan the rest of your stay. You can combine this tour with a 45 minute cruise of San Francisco Bay. Time for some last minute shopping before checking out of your hotel and taking the shuttle back to the airport for your onward or return journey. The evening tour to Alcatraz – numbers are limited at this time of day, giving you a true feeling of isolation and if you are lucky with the weather, you may get a lovely sunset to the west. Take in the breathtaking scenery along this route between San Francisco and Las Vegas. There are so many ways to combine a driving holiday in California with the glitzy city of Las Vegas. This is just one and takes in a stop in Death Valley as well as the magnificent Tioga Pass through Yosemite. Fly to San Francisco, the beautiful ‘City on the Bay’. Spend at least 3 nights here with time to relax after your flights and enjoy this wonderful city. Ride the cable cars from Union Square to Fisherman’s Wharf, take a cruise around the harbour, visit Alcatraz, museums, art galleries, Chinatown, Grace Cathedral, Lombard Street – the famous crooked street…. This morning pick up your hire car and head south out of the city along the Pacific Coast Highway. First stop Monterey, a fascinating town with a lively Fisherman’s Wharf – home to the acclaimed Monterey Bay Aquarium and Cannery Row (made famous by John Steinbeck). The famous 17-mile drive from Monterey to Carmel winds through pine forests and along the rocky shoreline where many bird species and sea lions may be viewed. This spectacular route, south of Carmel and Monterey, hugs the Californian coast and provides wonderful hiking and photo opportunities. Rugged Canyons, towering redwood and cypress trees, crashing surf and diverse marine life. The road then drops down into San Simeon – on the approach to San Simeon, stop off at the Piedras Blancas Elephant Seal Colony, then perhaps take time to visit Hearst Castle, a magnificent house built on a mountainside by the newspaper magnate William Randolph Hearst. Along this short stretch of the coastal highway, in addition to scenic ocean views, you will enjoy many historical and cultural sites before arriving in San Luis Obispo. With its lively down town area, centred around the Mission, this make the perfect place for an overnight stop. Start your journey east to the Sierra Nevada Mountains, which form the backbone of California. Here you will find yourself in the company of giants – from General Sherman Tree, the biggest tree in the world to Mount Whitney, the highest mountain in the lower 48 states. On to Yosemite, quite simply breathtaking – from the magnificent granite domes and spires, to thundering waterfalls, to stunning meadows carpeted with a wonderful array of wild flowers, this is a hiker’s paradise. Drive up through the Tioga Pass to the eastern Sierras (this pass is usually closed from October through to June – if you travel at another time an alternative, longer route will be planned). Continue to Las Vegas to spend a few days at the end of your holiday. Yosemite National Park is a true gem and should not be missed. If you can spare the time to stay another night (or possibly two), you won’t be disappointed. Travel the west coast between Seattle and Los Angeles on this itinerary. A diverse coastline of rugged headlands, giant trees and expansive beaches, this itinerary takes you from north to south through west coast USA. There are many opportunities to add to or amend this itinerary, for example, returning north using Amtrak’s Coast Starlight train. Fly from London to Seattle. At least 2 nights here to rest after your flights and explore this great city. Pick up your hire car then start your journey with a ferry across to the Olympic Peninsular. Drive along the Straits of Juan de Fuca where glimpses of diving eagles, gray whales, sea otters are common. Walk, kayak or explore the wild shoreline and forests. Explore rain forest valleys, glacier-capped peaks and a stunning variety of plants and animals. Head south crossing the Columbia River into Oregon. Continue your drive south taking time to visit Humboldt Redwood State Park – drive along the Avenue of the Giants looking for wildlife – deer, bear, foxes and osprey can be seen here. Overnight in Marin County, home to the giant redwoods in Muir Woods and the picturesque waterfront village of Sausalito. More time? – why not take a detour to the Napa Valley. Continue to LA for a day or two in this exciting city before heading home. If time allows a few days relaxation on a Southern Californian beach may be welcome at the end of your trip. The Olympic Peninsular was the setting for the Twilight series of books. For enthusiasts of these books, many local names will appear familiar.